We are delighted to announce a new cheese member of our cheese family! It's Grilling Cheese and it's one-of-a-kind. Why is it so special? The answer is it can be baked, fried or, of course, grilled, and instead of turning into an oozy puddle that drips and burns, it becomes crispy and delicious on the outside and gooey in the middle. 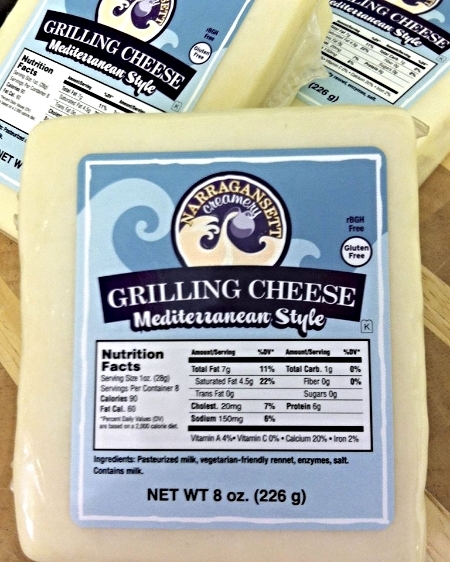 You can use our Grilling Cheese as a hamburger substitute for vegetarian friends at your next BBQ, as an irresistible appetizer before dinner or as a snack that stands alone. Find it at most of marketplaces carrying Narragansett Creamery cheeses.